The Beady Eye frontman admits he is big fan of 19-year-old popstar Justin Bieber – whose supporters are known as Beliebers – and has warned others to stop slamming the 'Never Say Never' hitmaker otherwise they will have him to answer to. Defending the singer after he went on stage two hours late at London's The O2 last month, Liam said: "Anyone who goes on two hours late is f***ing right in my book, man. “All these so-called rock bands that sit backstage going, ‘Hey, let’s wait 15 minutes’. “F**k that, wait two hours and 15 minutes! No one will beat that, ever. 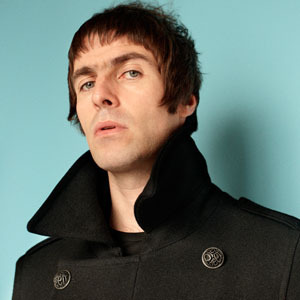 Liam has vowed to defend Justin in the future and joked he is going to put the 'Believe' hitmaker's moniker on the cover of Beady Eye's forthcoming new album, 'BE'. He added to Shortlist magazine: "My theory is that it’s gonna have BE on the cover, and then on the back I-E-B-E-R.